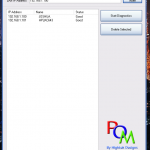 Ping-O-Matic is a program I created for people who want to keep track of their network. Well, you insert the LAN IP address. It will then search for the computer name using nbtstat. It will then enter into the database. 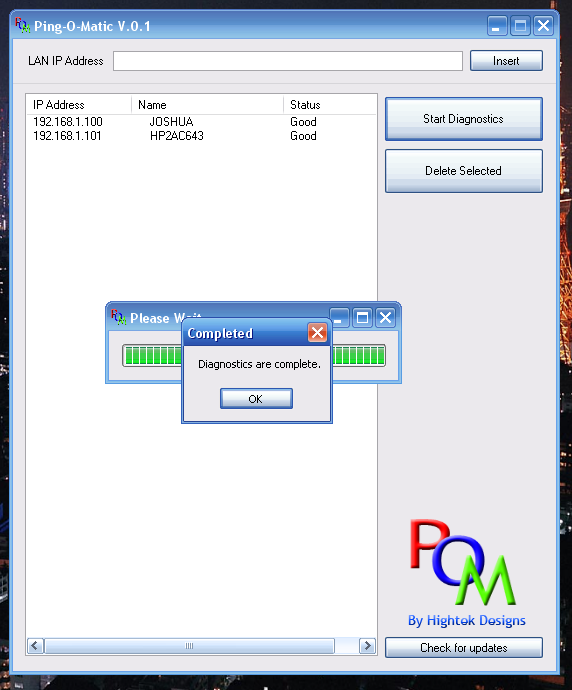 Once you have all your IP addresses in, you can then run a diagnostic. When ran it first checks to see if your Internet is running. If you have a firewall, you will have to unblock the program, or it will say that your internet connection is not running. It will then “ping” to check to see if the IP/computer is still on the network. If not it will read out an error. 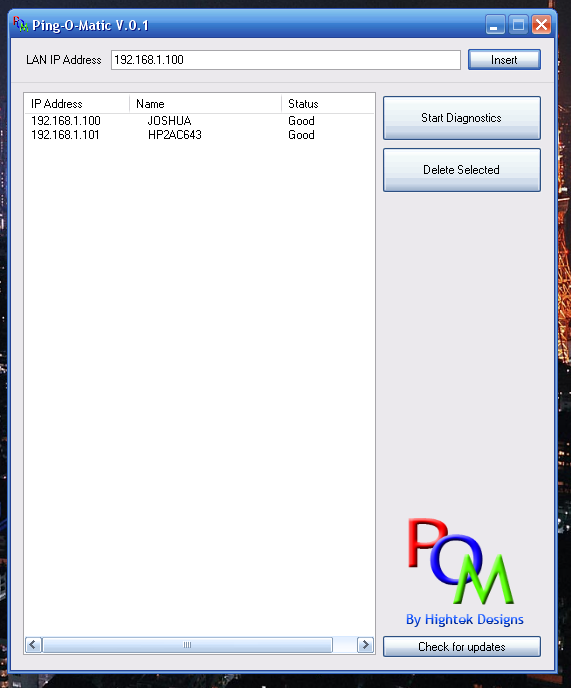 If it is there but the name of the computer has changed, or another computer has that IP address, it will read out a different error. It’s a pretty simple program. I have added an update button, which simply checks if a new version is out or not. I hope to keep updating with new features for network administrators. If you have any requests let me know.